Stampin' Up! supplies: Cheerful Christmas image colored in markers of Real Red, Old OLive, Garden Green, and Not Quite Navy on Whisper White cardstock. 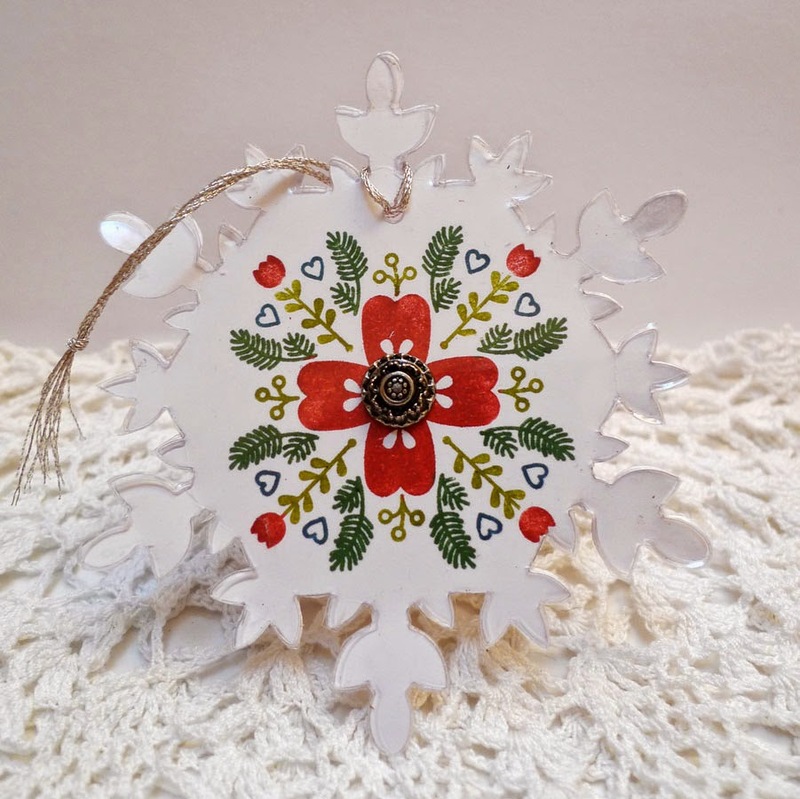 Festive Flurry die and a window sheet to cover the white snowflake, attached with an antique brad for center and some sparkly embroidery floss to hang. 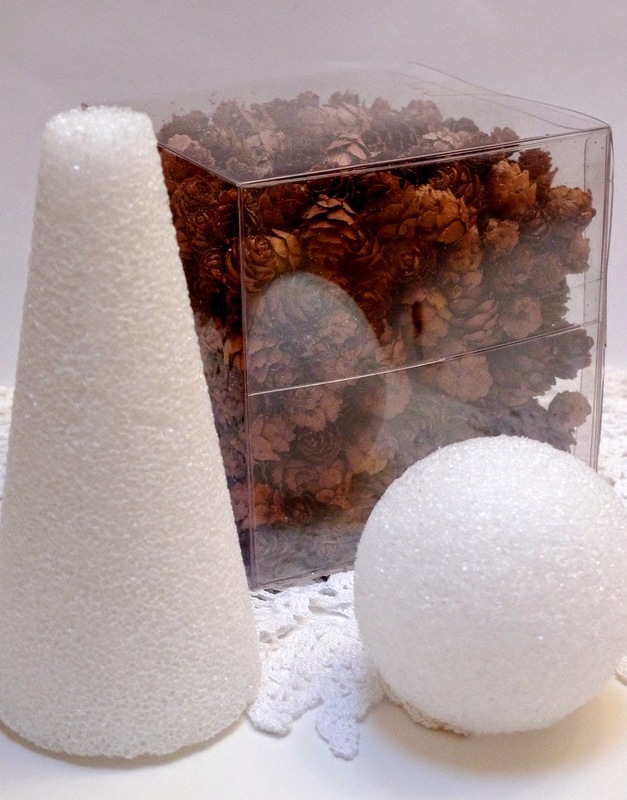 I know it seems silly to actually BUY pine cones but these were on after Christmas clearance and I couldn't resist. I always "bake" the cones I collect in a warm oven for an hour or more to kill off any insects living inside so this saved that step. 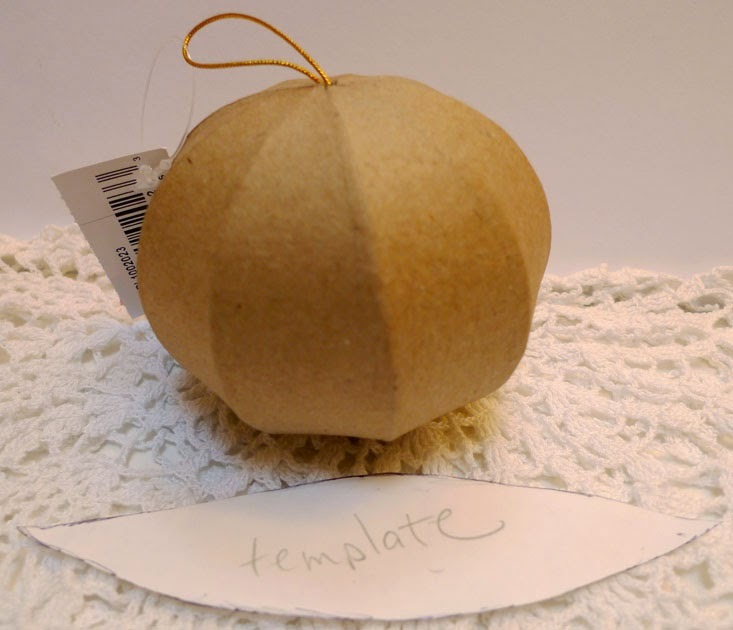 This is a fairly easy project made easier if you have a hot glue gun. I wound two strands of Christmas candle decorating garland around the finished cone tree and studded it with some pearls and pins. 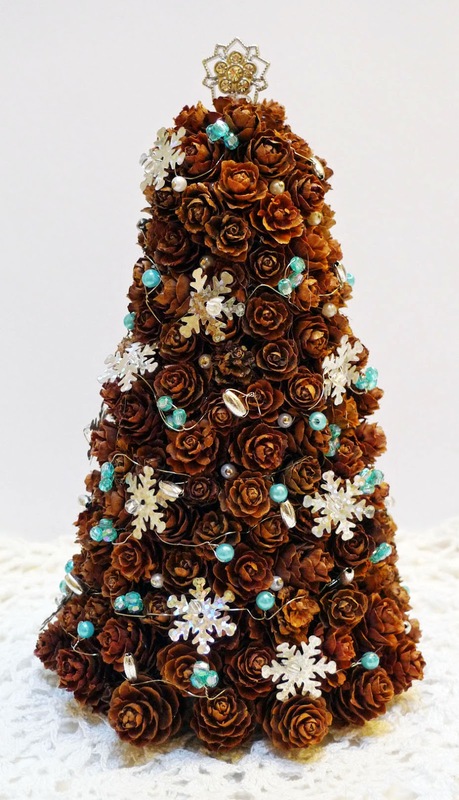 The tree topper is a snowflake rhinestone from last year's Stampin' Up holiday catalog. I stocked up on those beauties, my favorite SU embellishment ever! I always seem to have pocket change all over the place so I made this quick little bank out of an old small coffee tin. 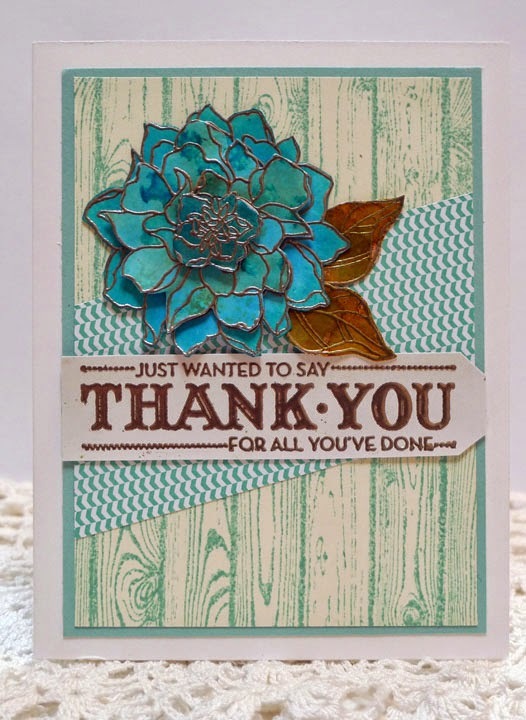 Stampin' Up paper and Secret Garden Flower with microbeads in center. Cut a slot on top with Exacto knife. 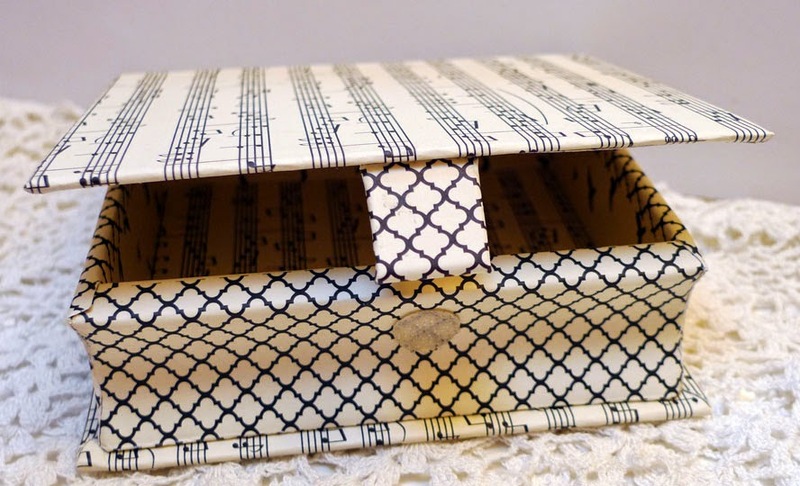 I recovered this old note card box with Stampin' Up's Modern Medley designer paper. 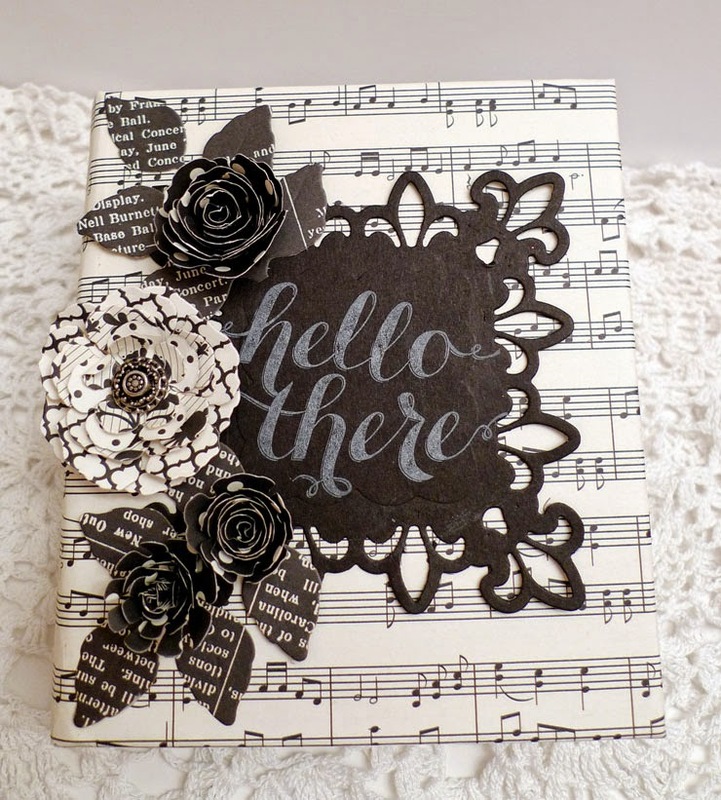 Flowers and frame are Spellbinders dies, sentiment from hostess set Hello There stamped in white craft ink. 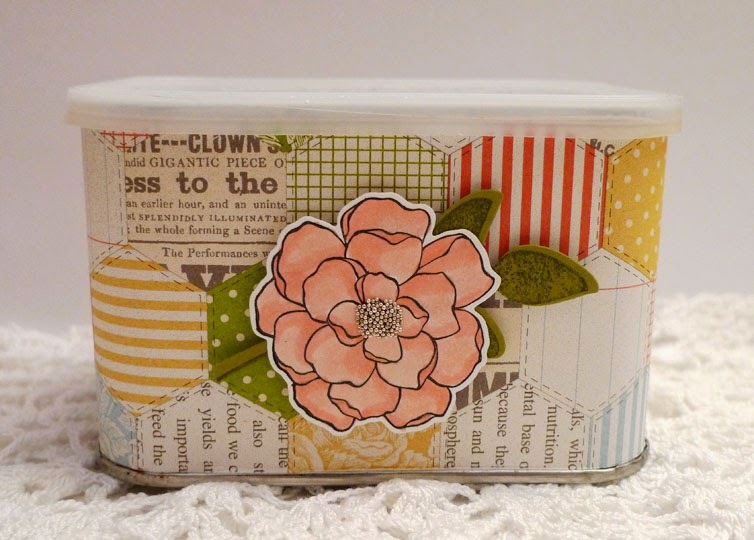 This will be filled with a variety of cards and envelopes for a gift. I stocked up on the after Christmas sale at our local Ben Franklin Craft Store last year with so many different ornaments I figured I had better start now for the upcoming holiday season. 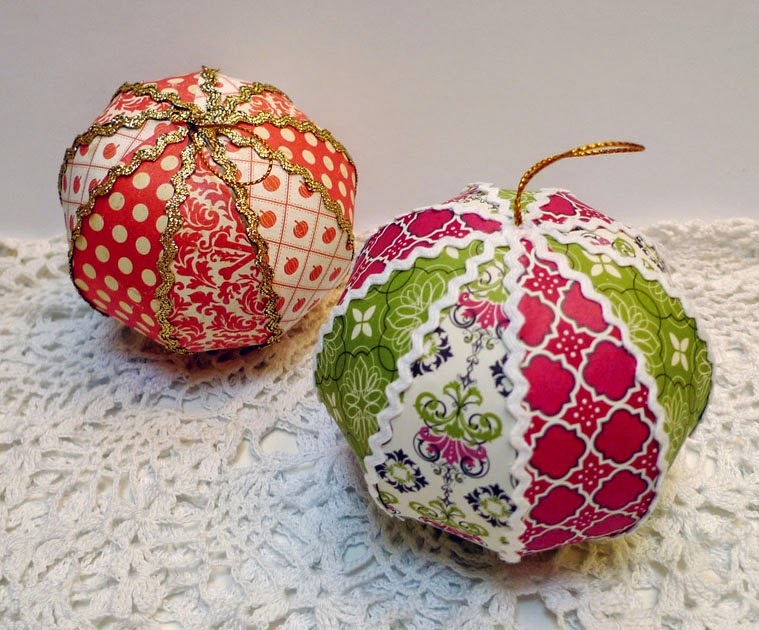 These little paper mache ornaments are pretty easy to do with scraps of designer paper, I used three different design papers for each one. Start by tracing out a template in the shape of each section. Vellum usually works well for this task as you can see through it to know where your lines are. I used glue sticks to adhere and some very narrow rick rack trim to go between each segment to add more definition. The papers used were Authentique for the Halloween and Stampin' Up! Candelight Christmas for the red and green one. All supplies are Stampin' Up! 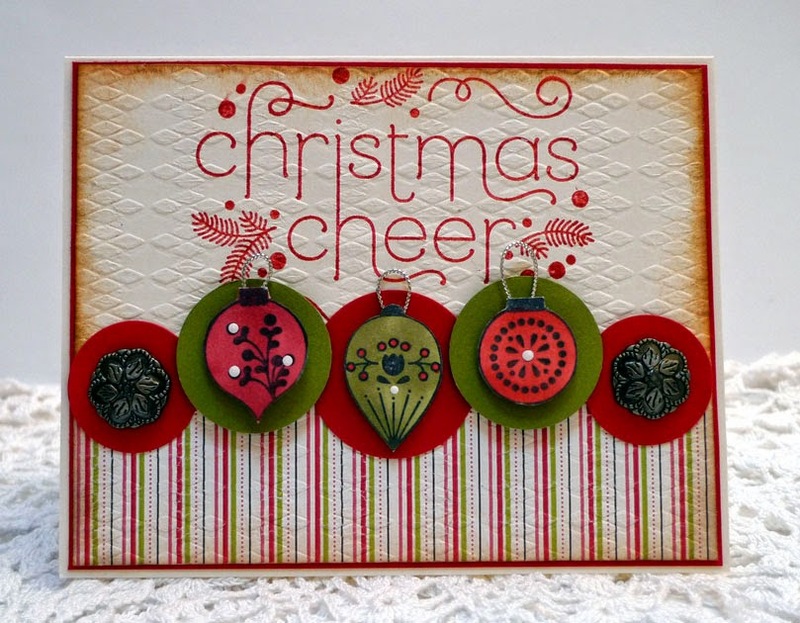 Christmas Cheer with retired designer paper and silver cording, antique brads, embossing folder, cardstocks of Olive Real Red, and Vanilla. I am so happy to be back with my friends from the Splitcoast Color Challenge sample team! 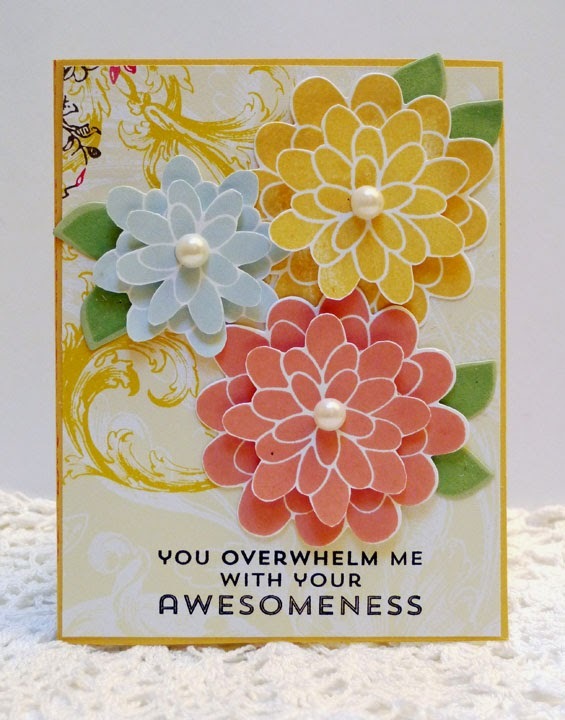 We are celebrating the 500th color combo challenge showcasing each of the four seasons. Pick one or make one with each recipe, they are so lovely you will want to try them all. The first card is Winter using Island Indigo, Lost Lagoon, Cherry Cobbler, and Olive. 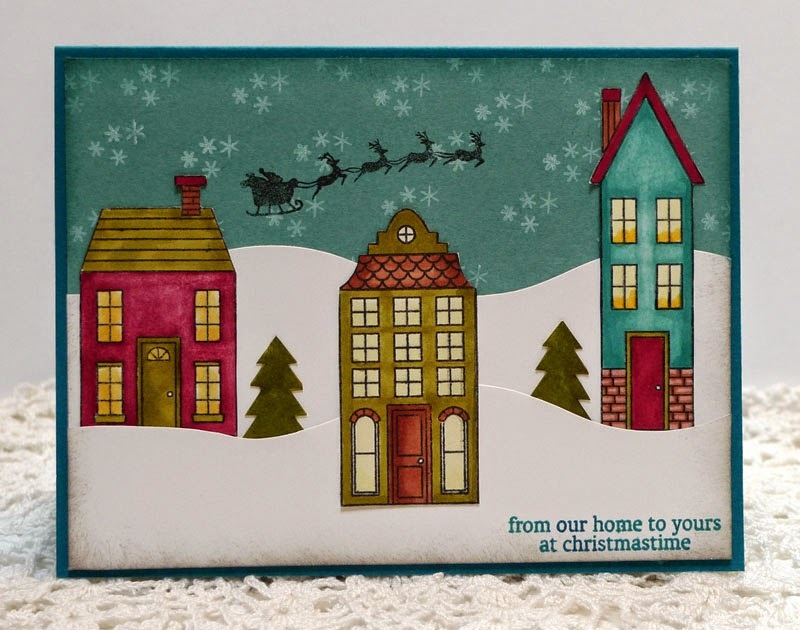 I used the new mini set Holiday Home by Stampin' Up! The second card is for Spring with a pastel combination of Crisp Cantaloupe, So Saffron, Pistachio Pudding, and Soft Sky. 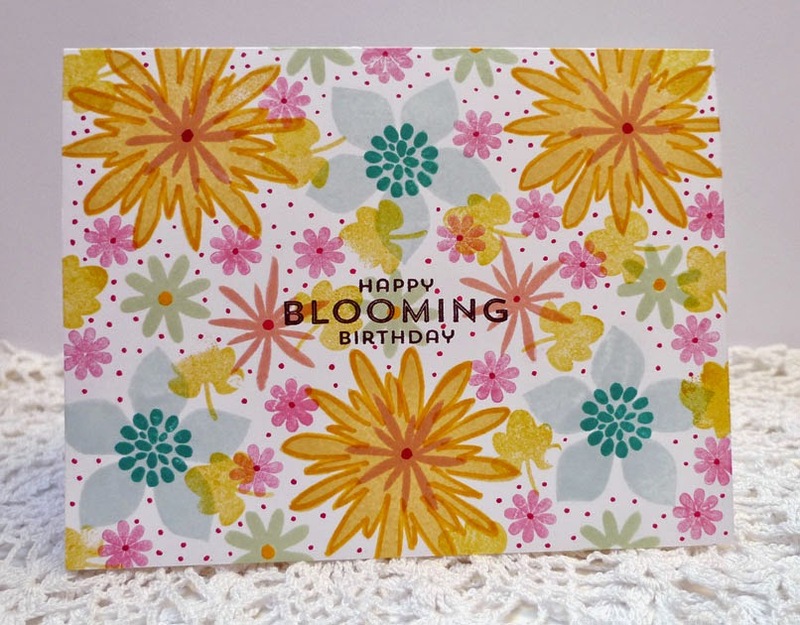 Stamp set is Flower Patch on some retired Attic Boutique paper. All supplies are SU. Some more cards to go to the M D Anderson Cancer Center in Houston for the Hope You Can Cling To card drive. All supplies are Stampin' Up! 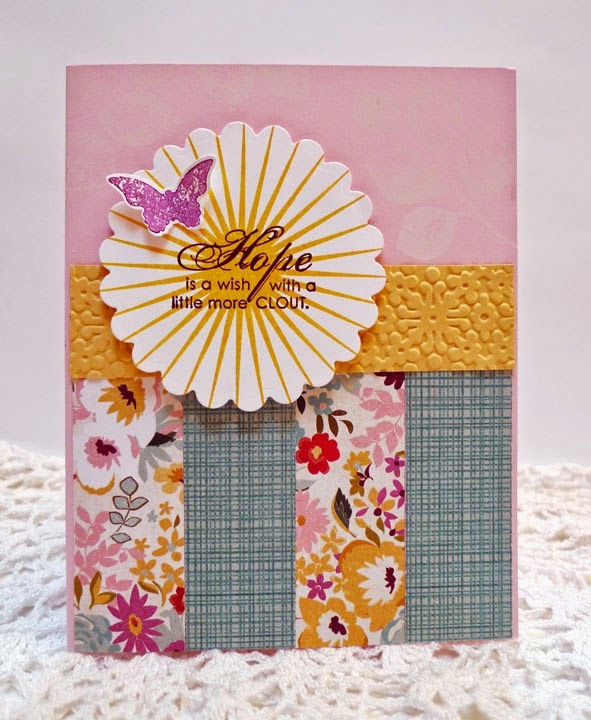 For today's Splitcoast Hope You Can Cling To challenge to use scraps or strips to create your card. Stampin' Up! 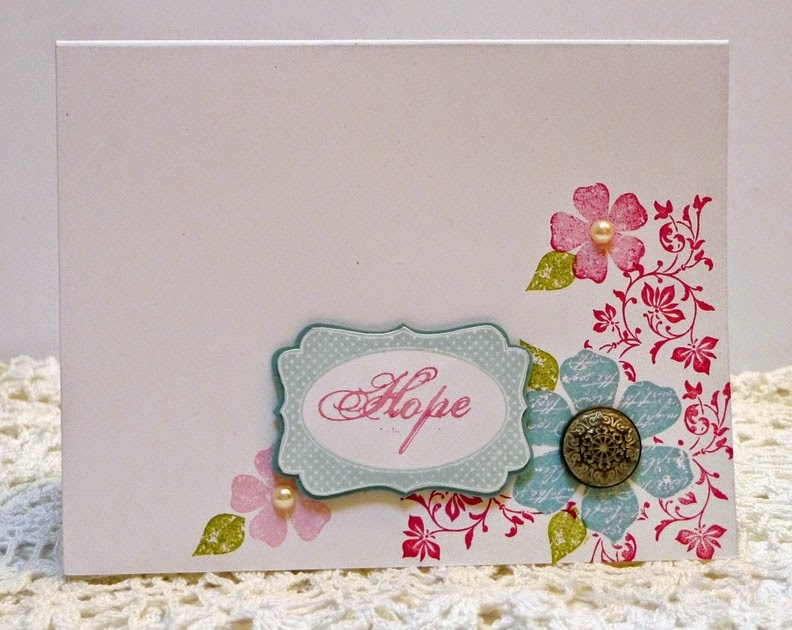 retired Sale-a-bration paper, flower punch and brights button, sentiment is from Happy Day with Banners framelits die, cardstocks: Pool Party, Calypso Coral, Island Indigo, and Whisper White. All Stampin' Up! 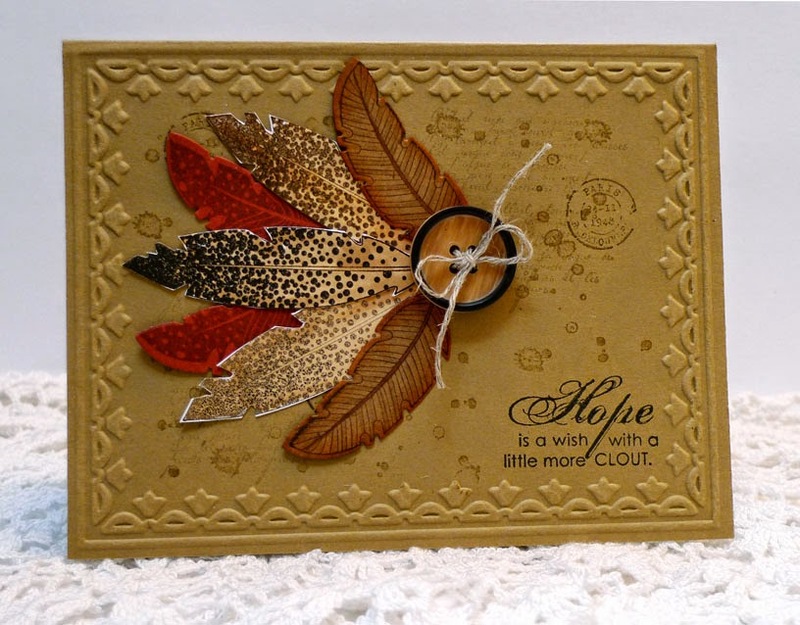 supplies: Baked Brown Sugar cardstocks embossed with Tulip Frame folder, Four Feathers stamp set in various colors with Naturals button and linen thread. Also used Blooming With Kindness and French Foliage stamp sets. This card is for the Hope You Can Cling To challenge theme of "shine". 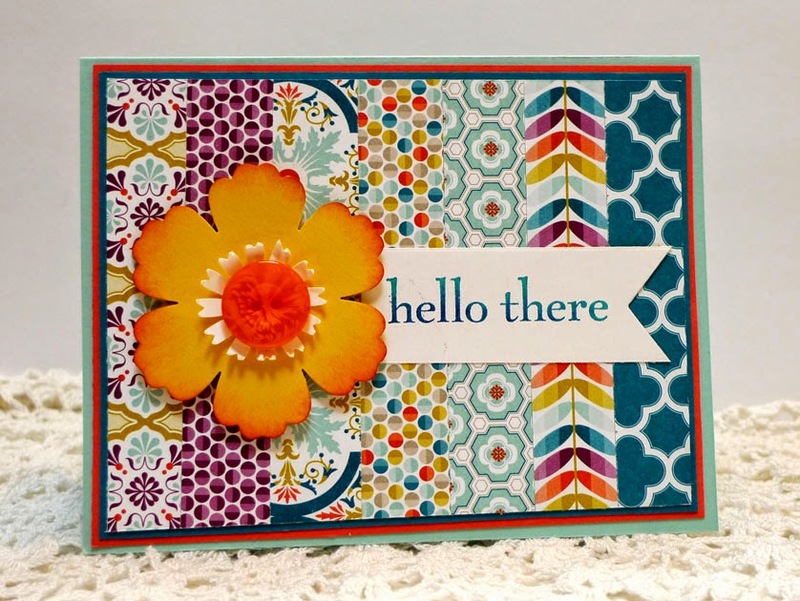 I used the sunshine stamp from Kinda Eclectic with the sentiment from Blooming With Kindness. Paper is non SU, maker unknown, cardstocks are Pink Pirouette, Saffron, and Whisper White. 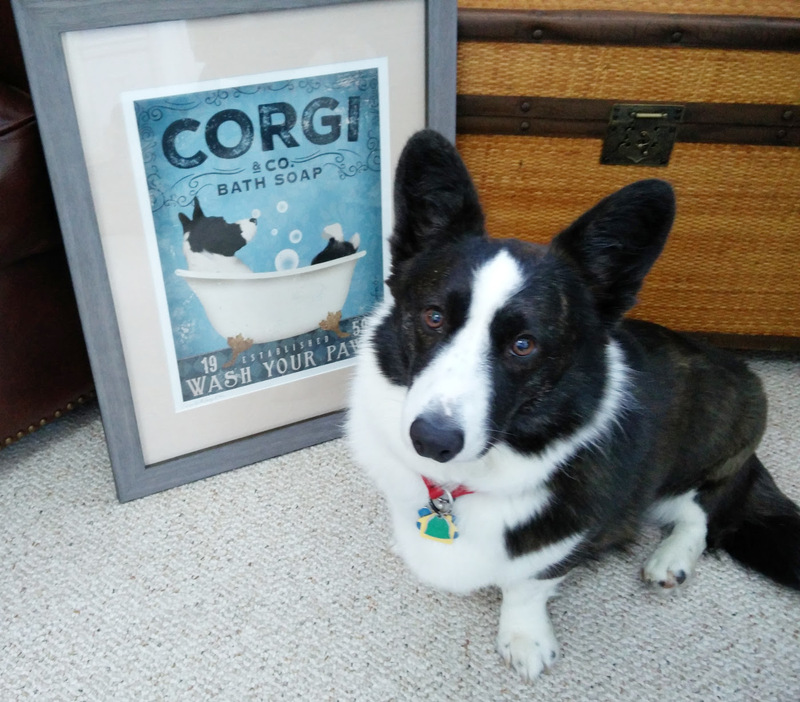 Rocket is my kind of dog, he doesn't mind making the best of a creative messy space as you can see. 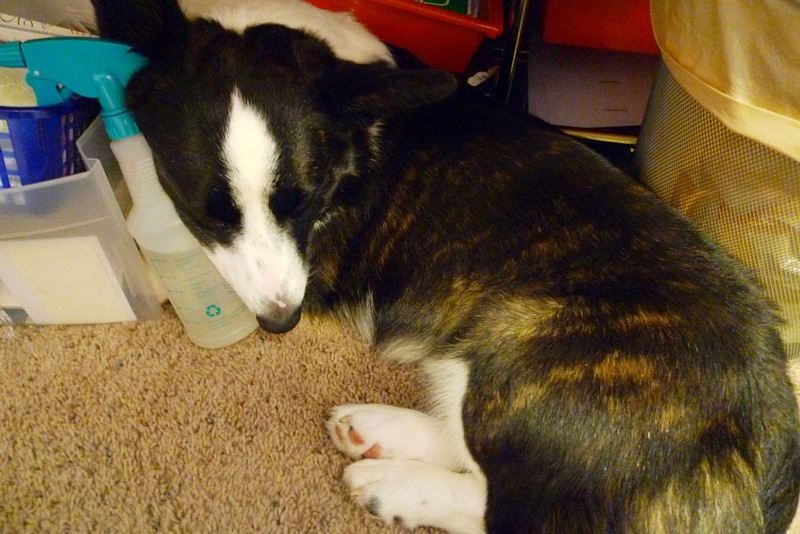 The mister bottle makes a great pillow and as long as he is curled up at my feet, he is happy. These cards are for the Hope You Can Cling To card drive for the MT Anderson Cancer Center, organized by Splitcoast. 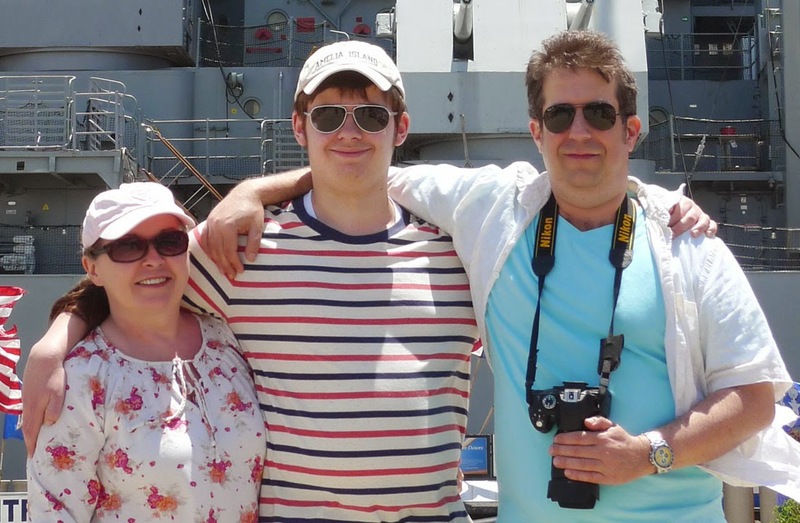 You can find all of the challenge details on their site. The first card is for the paper tole challenge. All supplies are Stampin' Up! Pool Party, Vanilla, and Whisper and Glossy White cardstocks, stamp sets: Hardwood, Let Your Hair Down (sentiment), and Peaceful Petals, Coastal Cabana in color paper pack, pewter embossing powder, and re-inkers. The flower was cut out and layered. 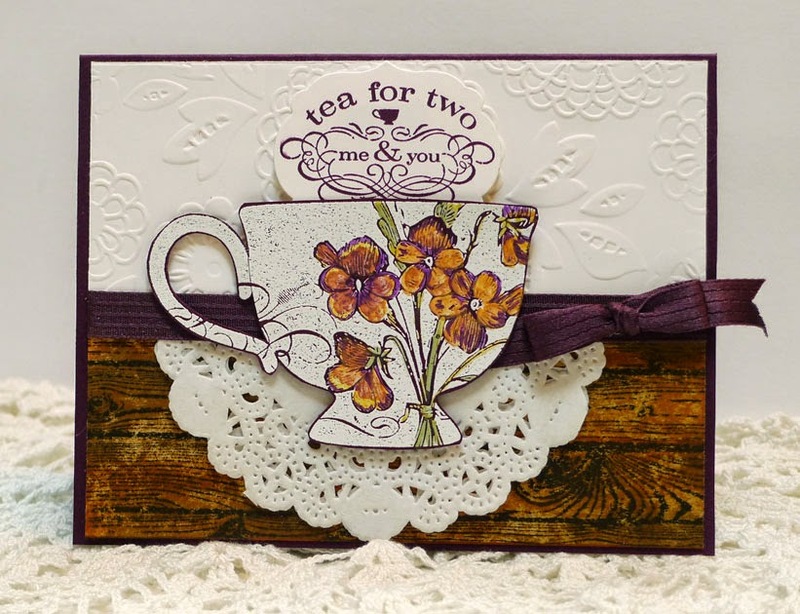 The layout is from the Vive la Verve sketch challenge for September. The second challenge was to use a handle of some kind so I used my Tea Shoppe set for the first time. Embossed the cup on Blackberry Bliss with white powder and colored flowers with markers. Hardwood stamp for "table", Whisper White with Lovely Lace embossing folder for wallpaper, Blackberry Bliss ink, ribbon, and cardstock.